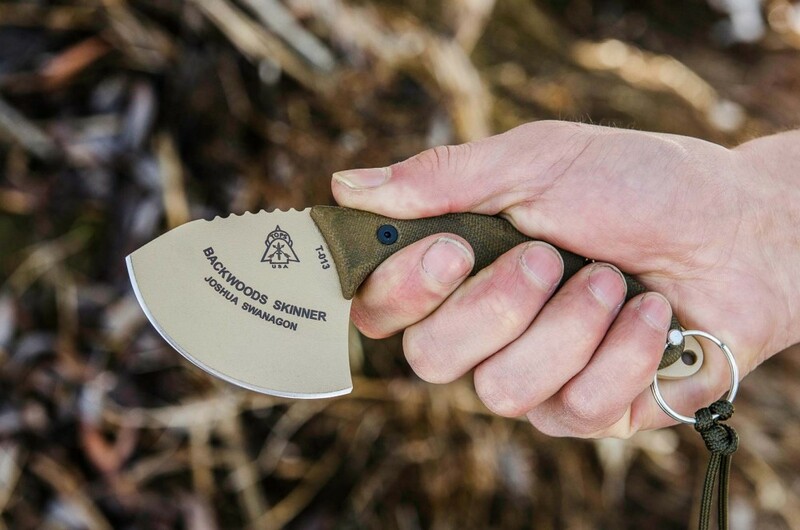 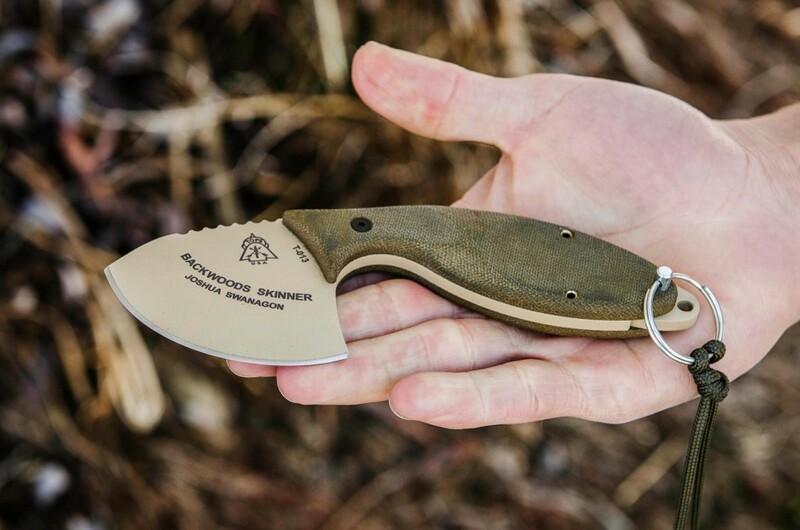 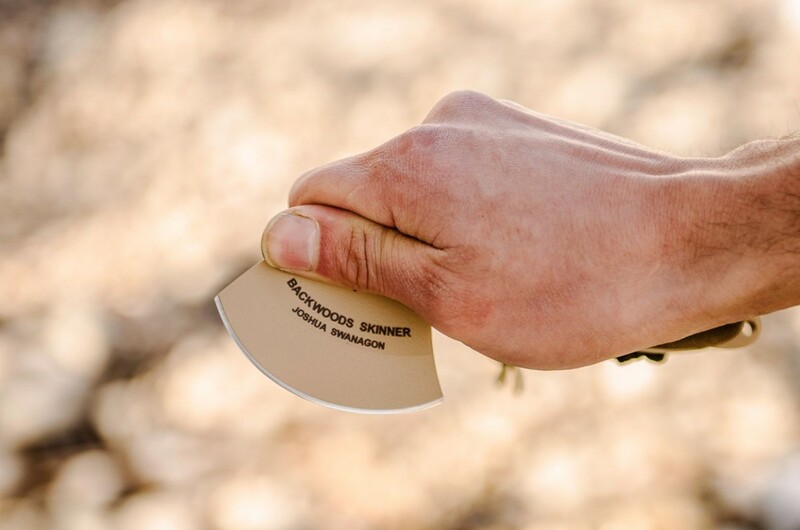 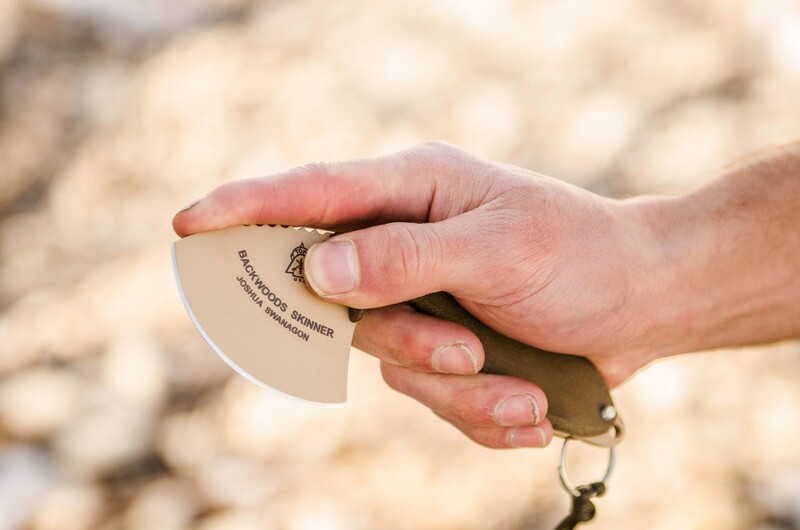 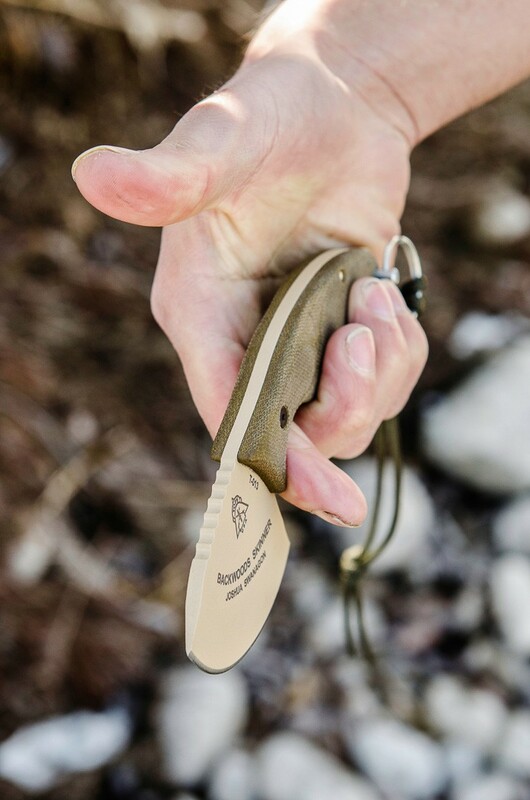 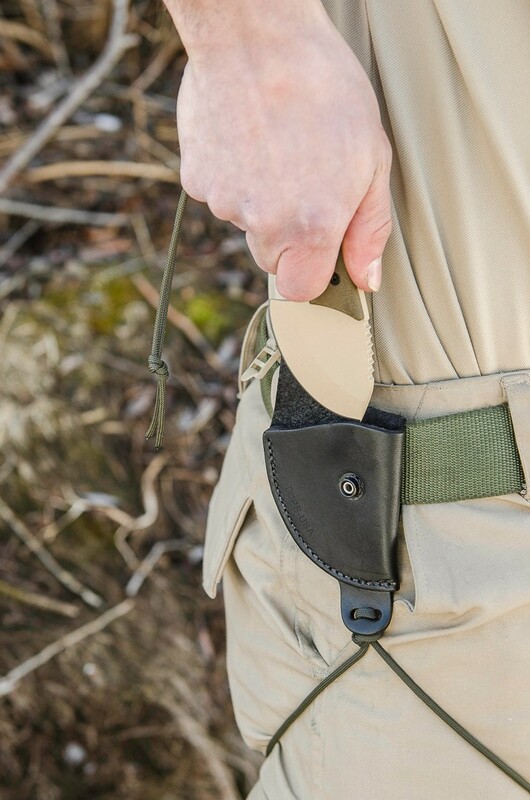 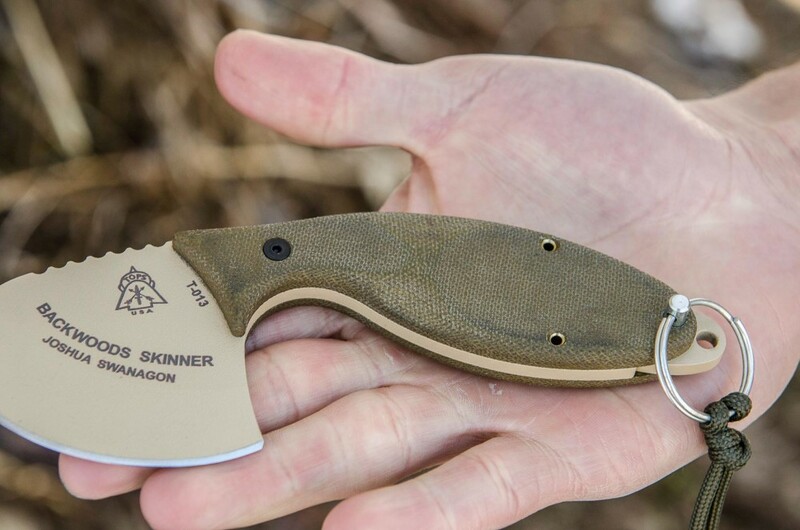 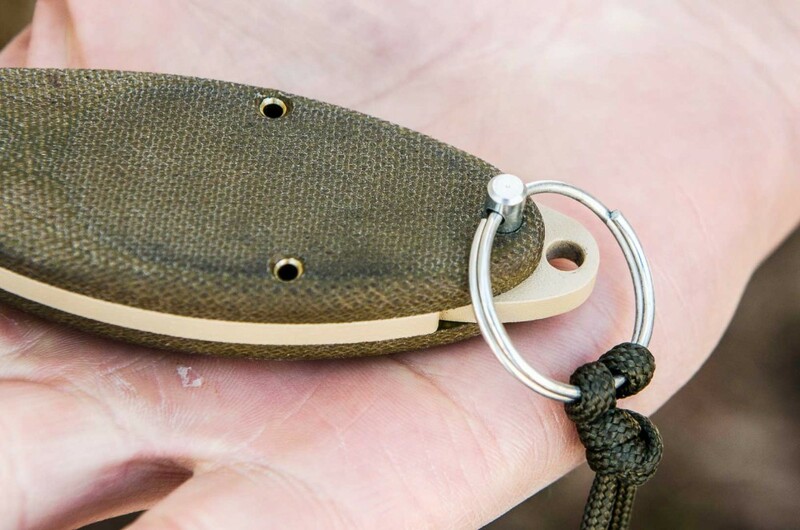 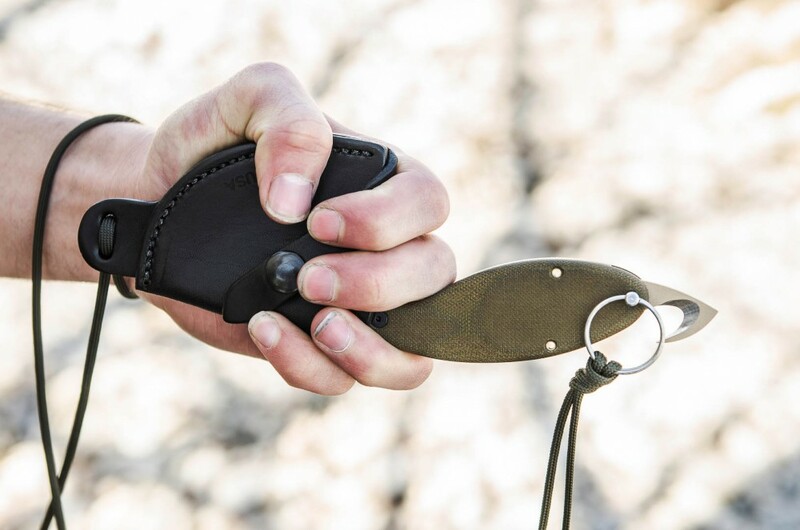 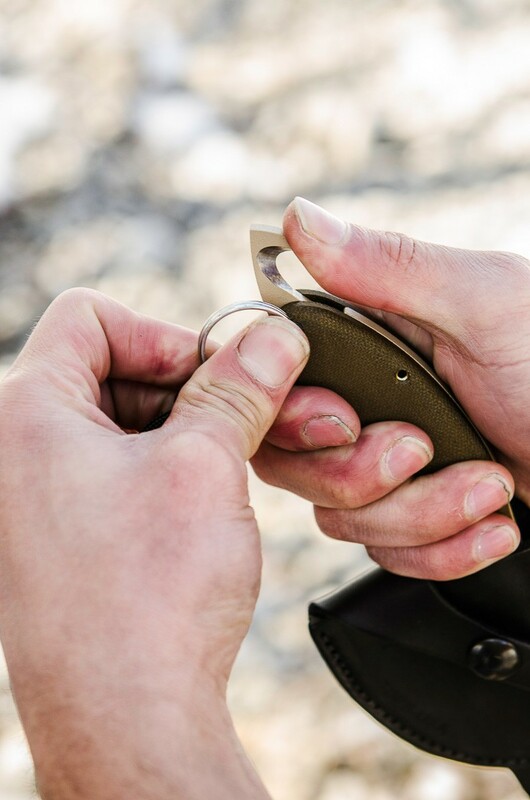 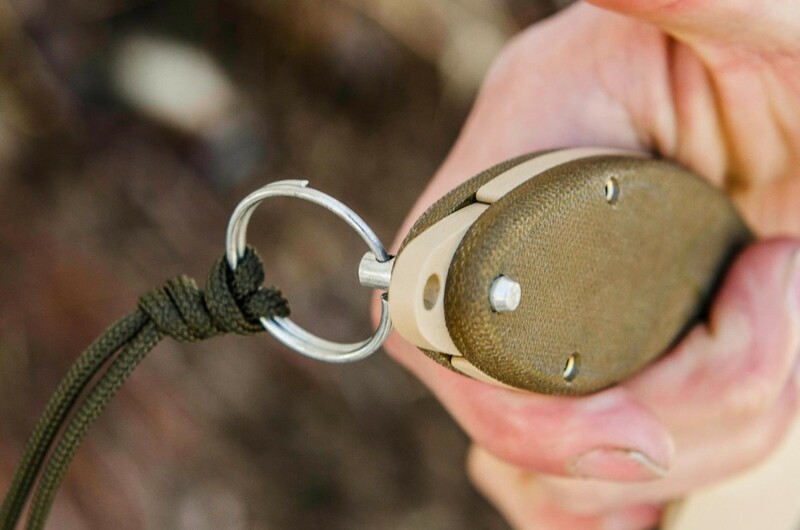 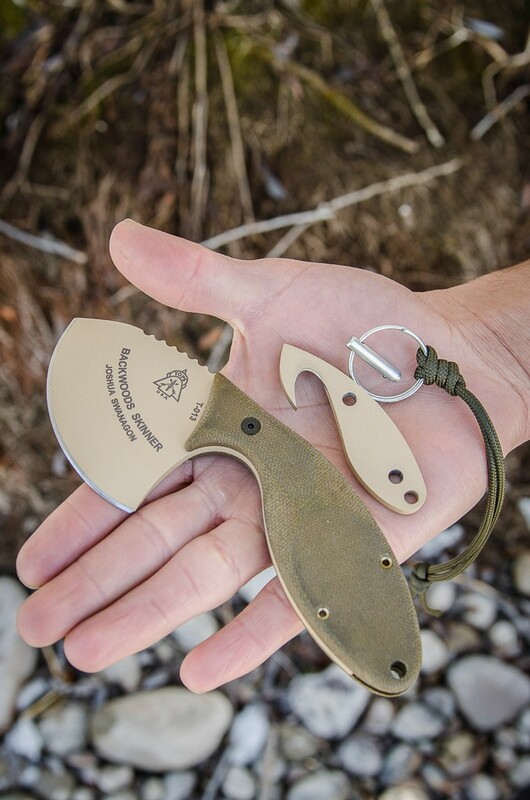 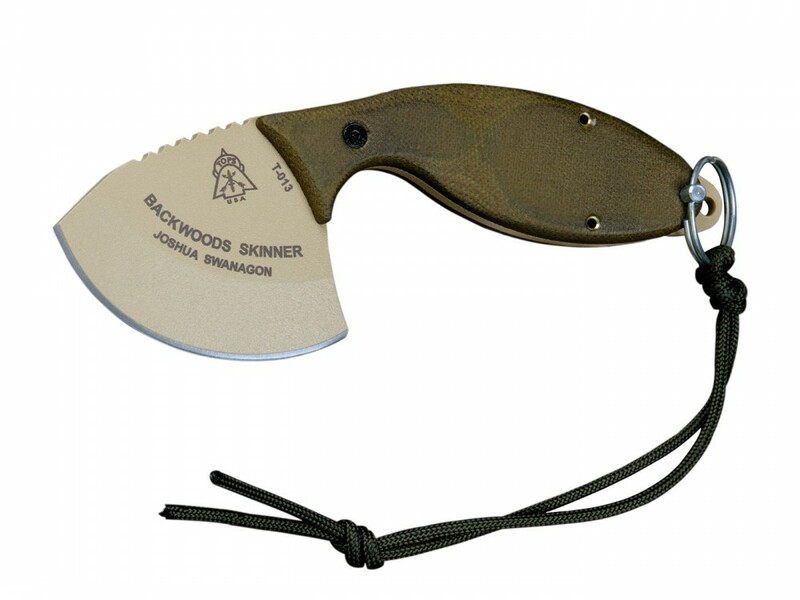 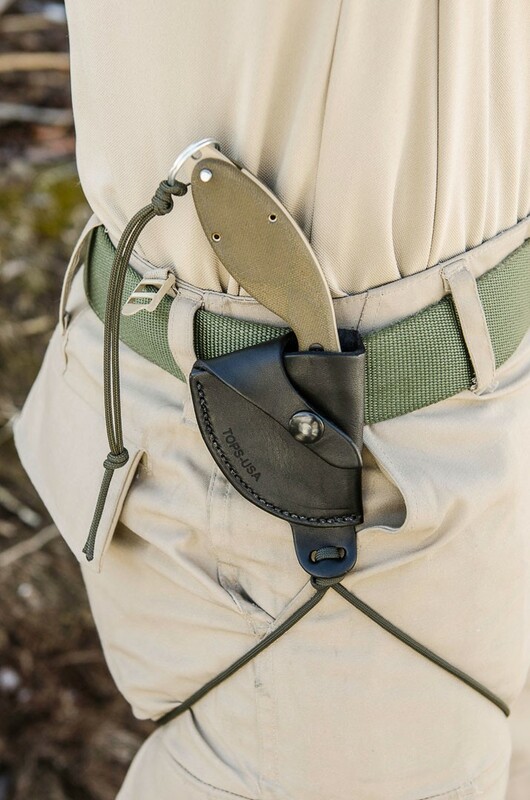 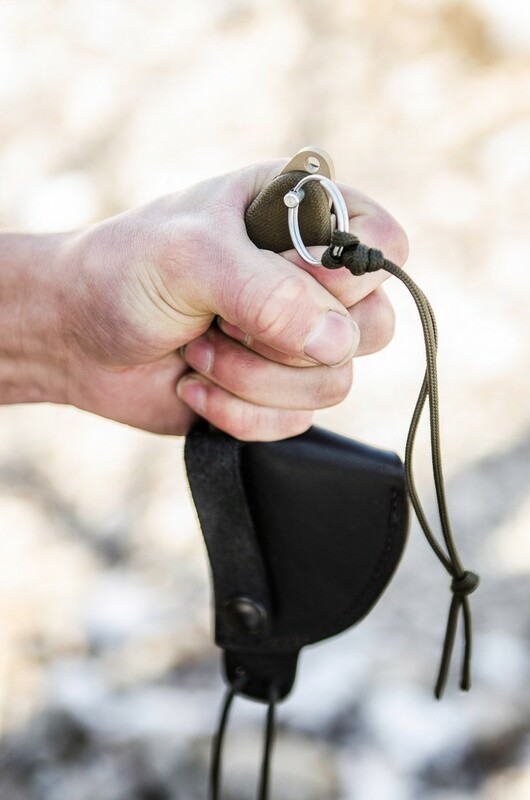 The Backwoods Skinner was designed for everything from large game hunting down to wilderness survival small game hunting / trapping and light bushcrafting in mind. 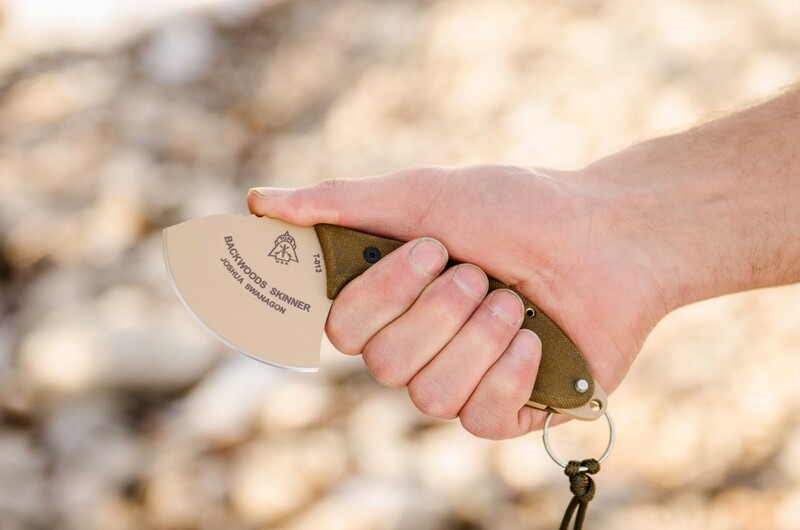 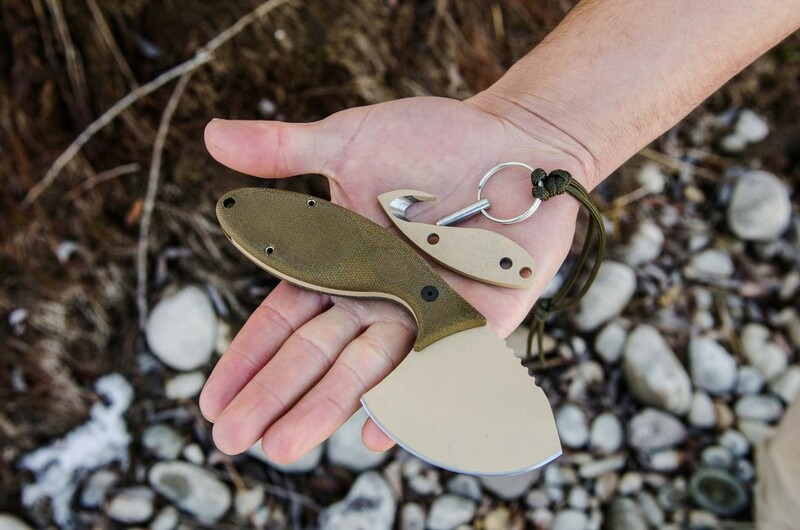 "Years ago, while I was a teenager, a friend of mine showed me an authentic Alaskan Ulu that he had received from a friend of his. 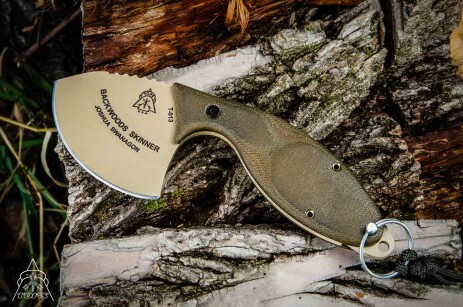 I had never seen anything like it and immediately saw the benefits for skinning, food prep and light bushcrafting. 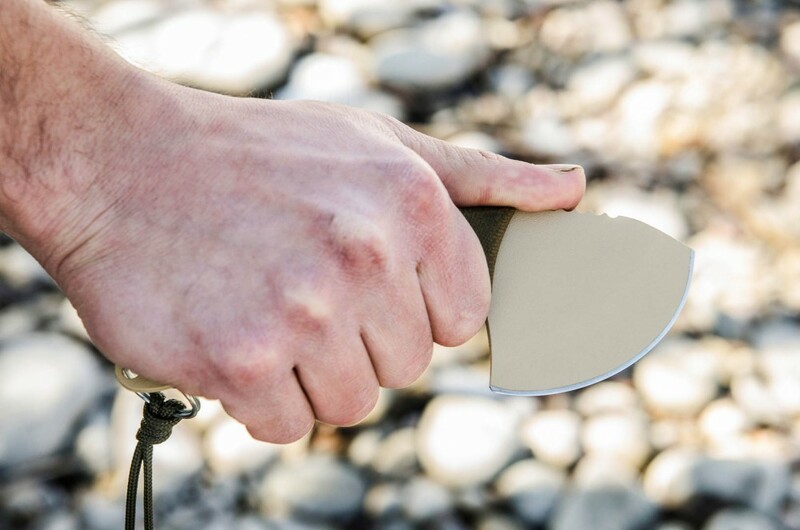 I have been a big fan of the Ulu since and as a hunter, when I was designing the Backwoods Skinner I couldn't think of any blade geometry that fit my purpose for this knife like the Ulu. 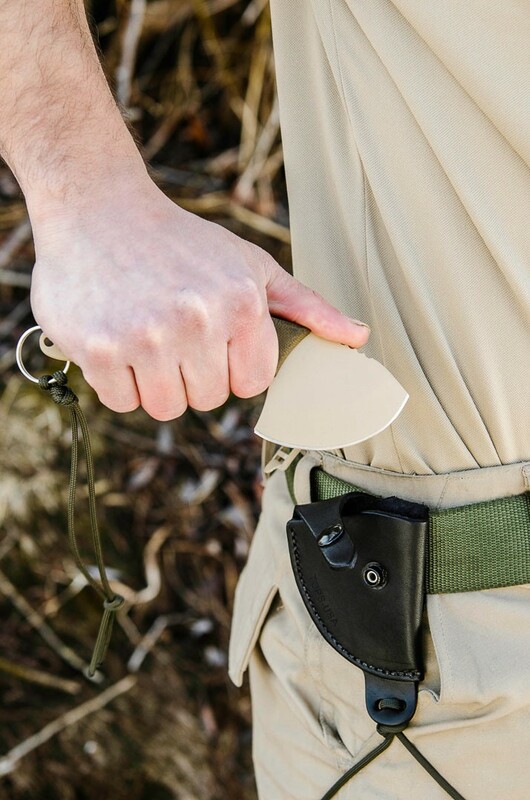 "I decided to use the same deep belly of the Ulu for skinning purposes, but opted for a smaller blade and a rear oriented grip for getting into tighter areas and the ability to do finer skinning work. 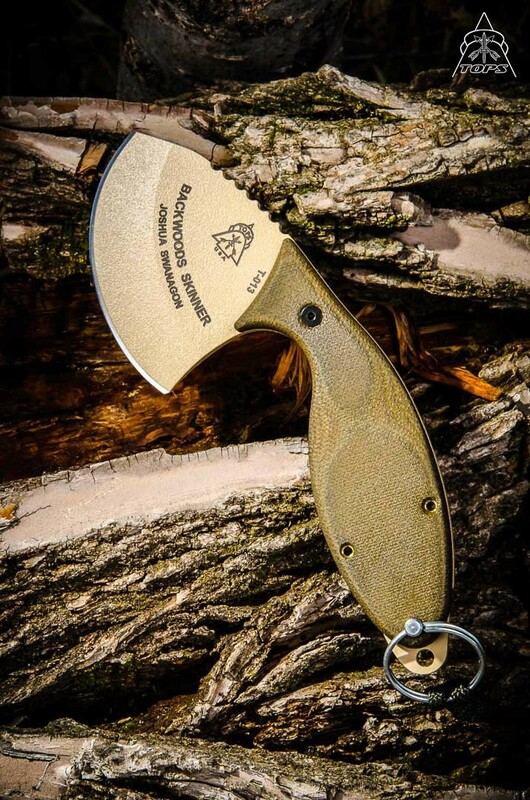 I went with the straight clip point so that it would allow for the index finger to run up the spine to the tip, allowing you to guide the Backwoods Skinner into tighter spots with greater control. 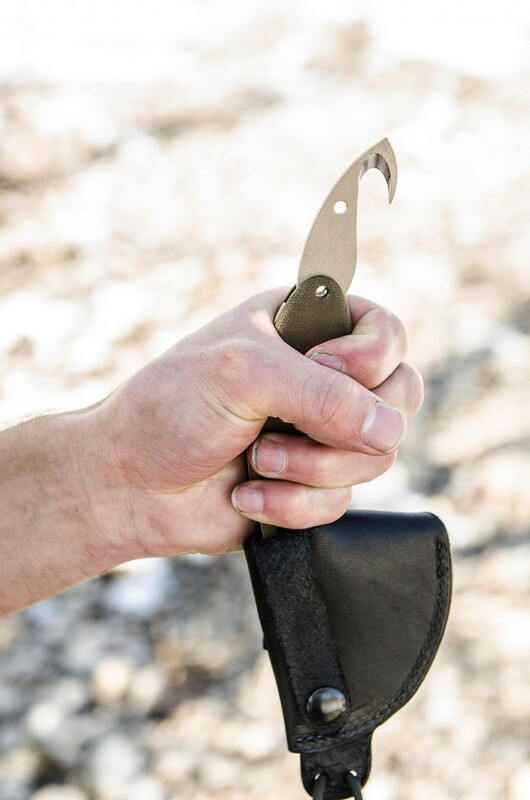 I decided to angle the grip away from the blade in an effort to allow for a natural break to the wrist for better ergonomics and to prevent fatigue in the wrist when working with it for extended periods of time. 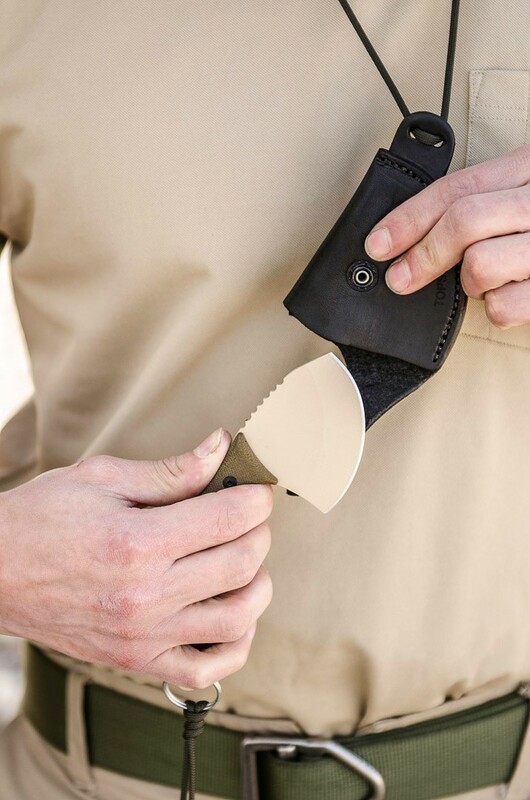 "In an effort to make this a full featured hunting knife, I knew that it needed a gut hook for expedient field stripping of your game but I opted against putting it on the spine of the knife for a few reasons; first - the blade geometry and angle of the grip would have made this option difficult to use. 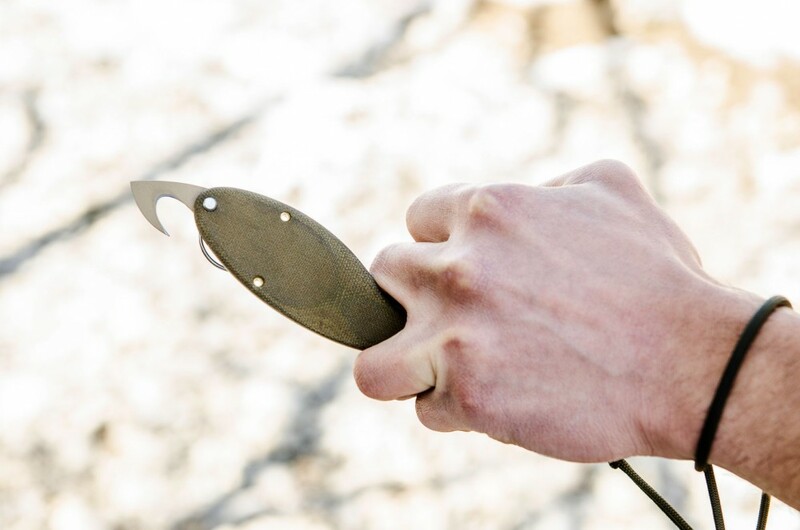 Second - my intended use of the index finger to guide the blade into tight areas would be dangerous with a gut hook in the way. 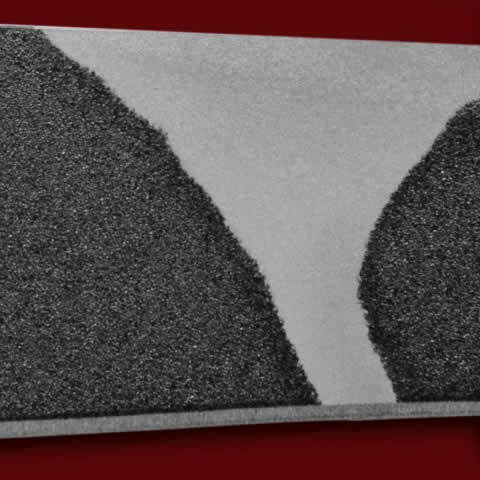 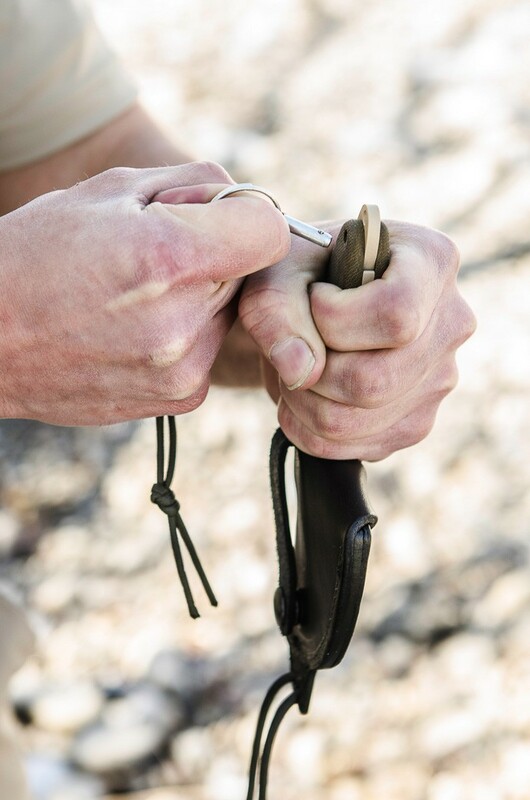 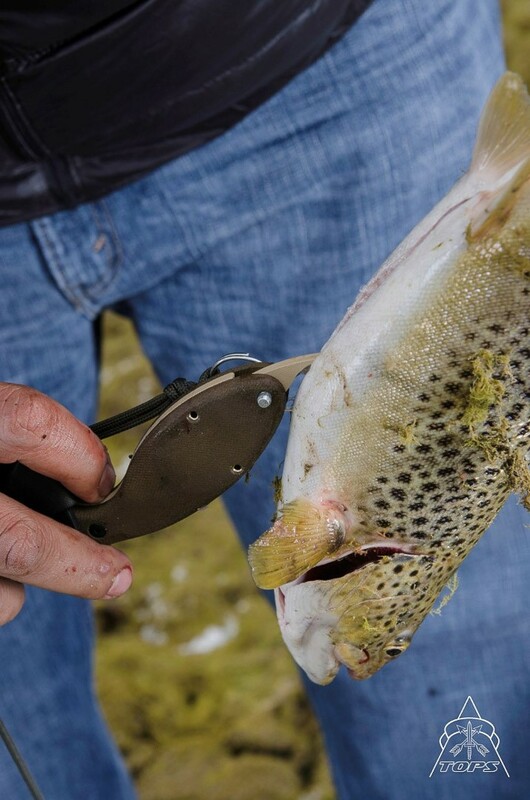 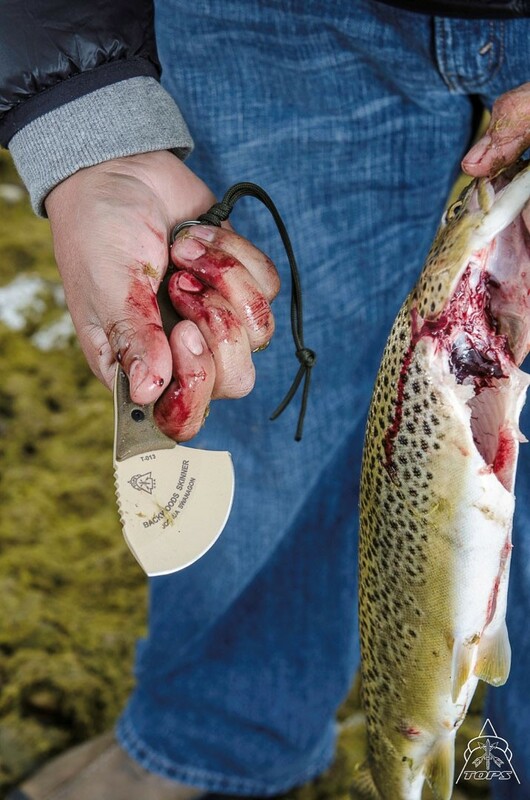 And three - spine-oriented gut hooks tend to tear coats, clothing and sheaths when pulled out. 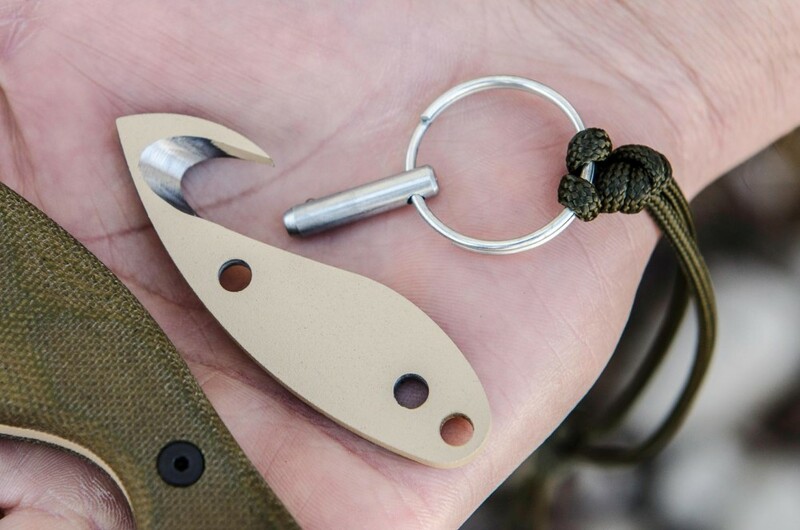 So for these reasons, I spent some time trying to come up with some different options when I decided on a parasite gut hook. 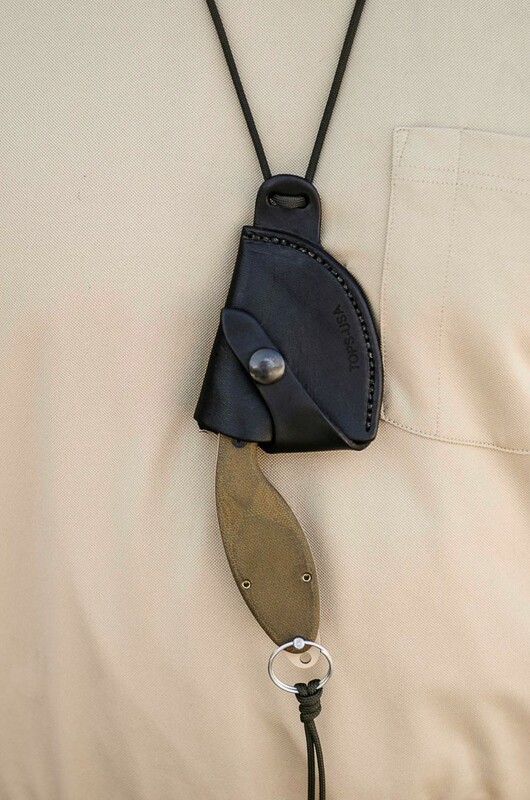 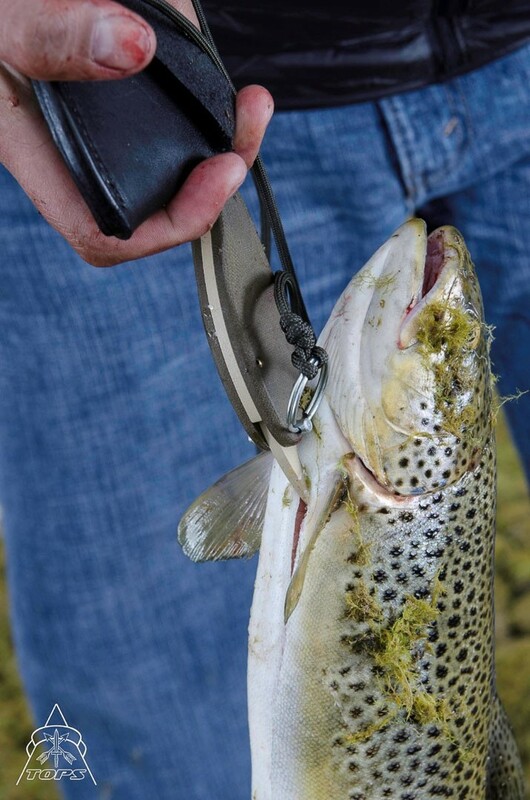 This keeps the gut hook shrouded when not in use and is safer when it is in use, because you sheath the blade to use it. 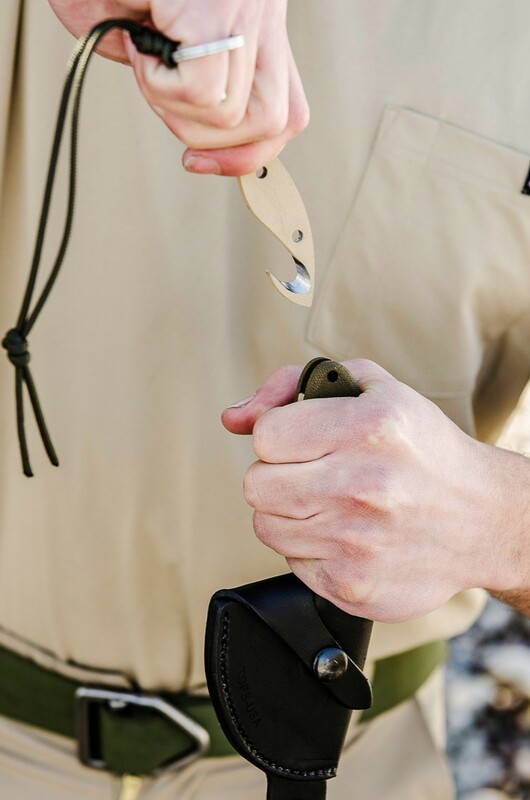 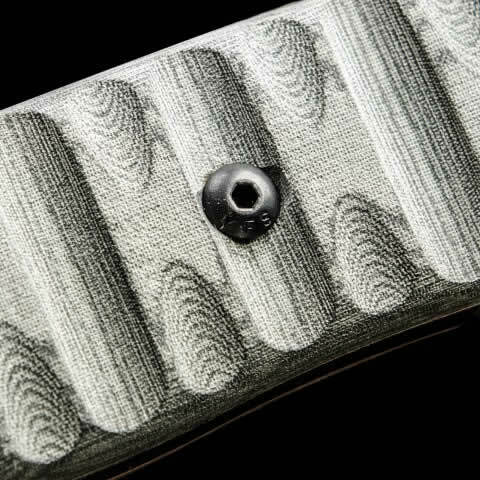 "The ovulated grip was designed to fit the ergonomics of the hand, again allowing for extended use with minimal fatigue and with the tightening at the hilt you can achieve a firm purchase of the grip with maximum control when pulling the blade through your cut. 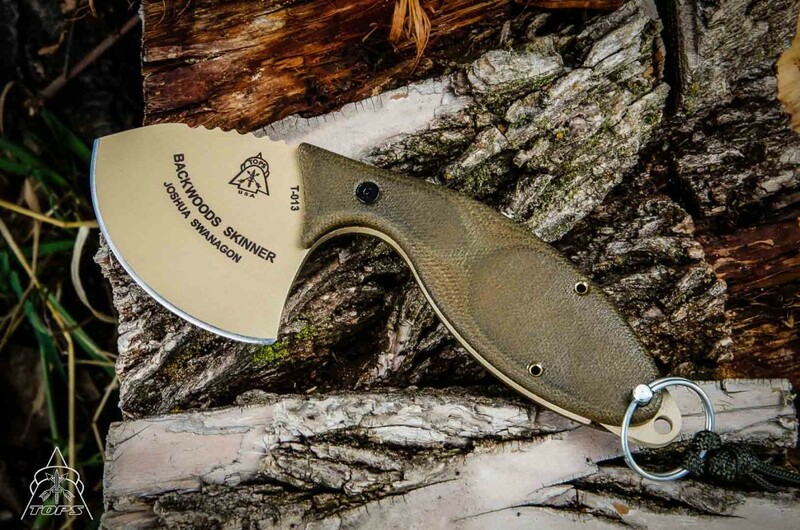 "The Backwoods Skinner was designed for everything from large game hunting down to wilderness survival small game hunting/trapping and light bushcrafting in mind. 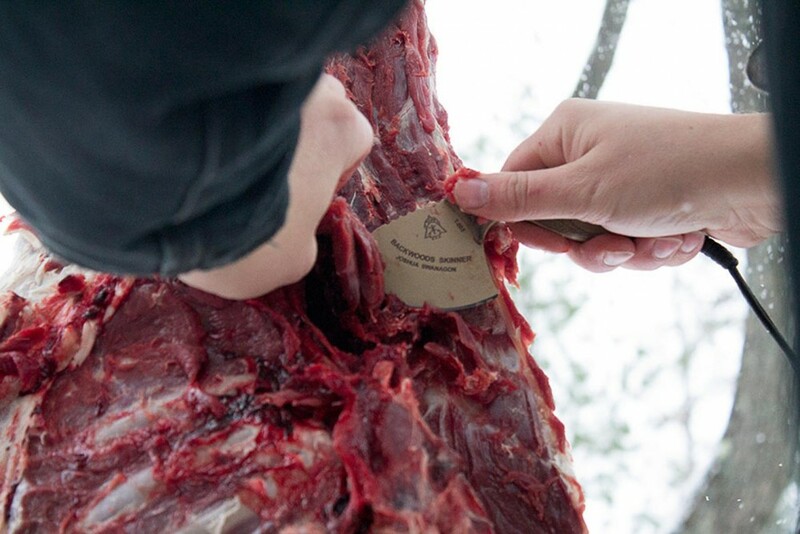 Enjoy and happy hunting." 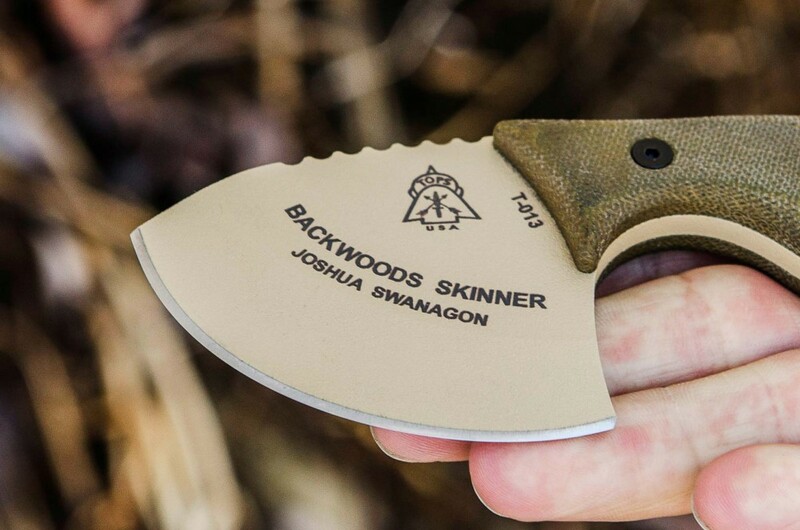 Description by the designer, Joshua Swanagon.